Work was a little quiet today so I had a play around with some images. Trying to design a little out of my regular style, use different techniques or colours or shapes, playing with contrast. 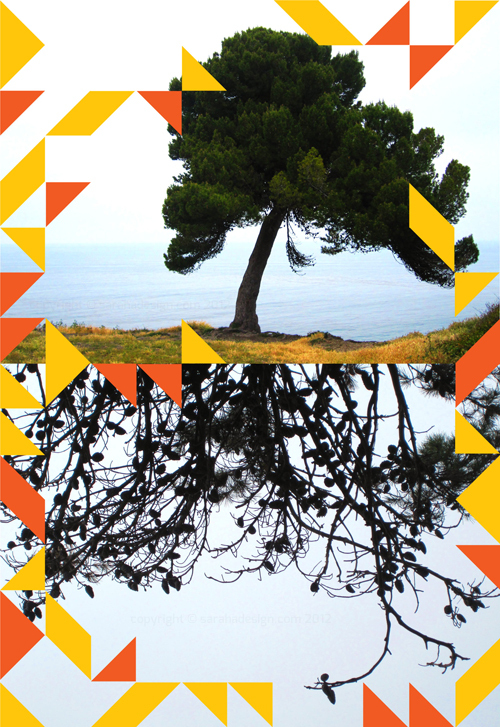 I'm liking this grid-based, triangle design layered over a couple of pictures from Palos Verdes (taken in 2010). It's a bit like I took a bunch of triangle stickers and stuck them onto a photography poster! Fun!